Pumpkins are not just for Halloween, Thanksgiving or for taking Cinderella home from the ball. 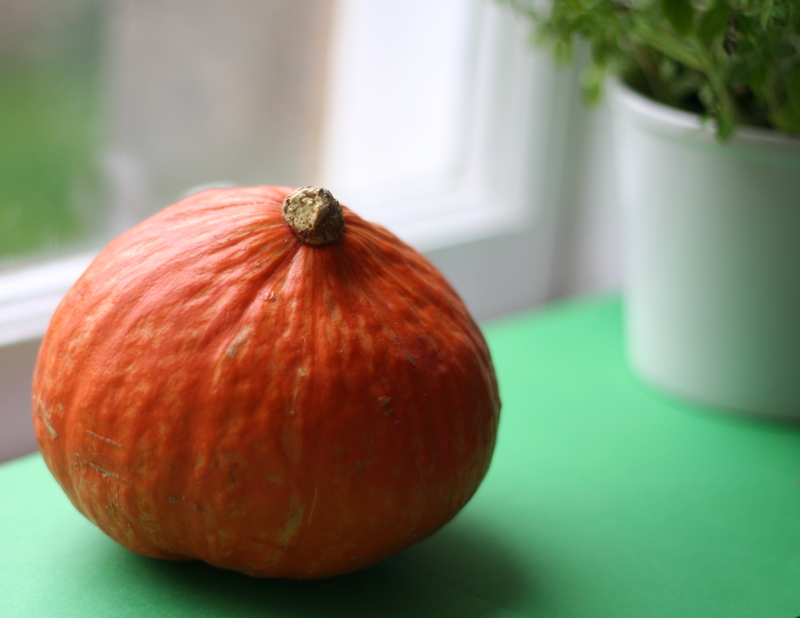 Both the flesh and the seeds of the pumpkin are an excellent source of many vitamins, minerals and anti-oxidants. They are also lowfat, highfibre and low in calories. In short, they are one of the superfoods of the vegetable world. So, when one arrived in my organic veg box nearly 2 weeks ago, I was very excited (I know, I need to get out more). There’s nothing like a well-cooked roast potato. Cooks and chefs reputations have turned on the quality of their ‘roasties’. 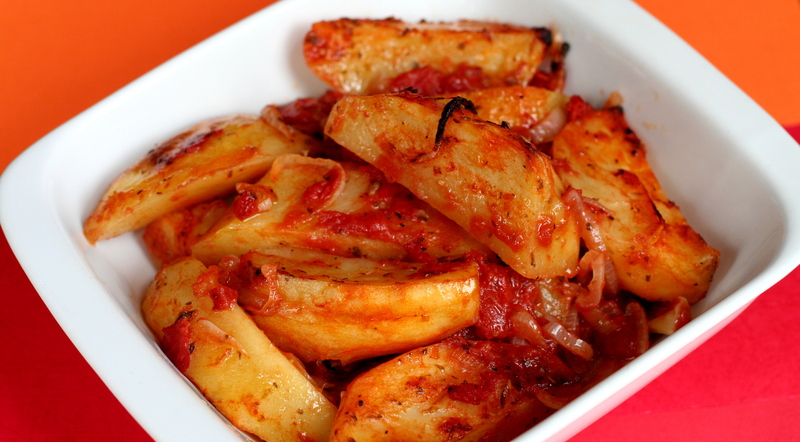 There have been more recipes and articles written on how to make the perfect roast potato than any other food. Well, not quite but it does generate a lot of heated discussion. Let me now add to the mix a roast potato that is neither soft and floury nor golden and crunchy. In fact, it’s soft and sticky. But it’s still a roast potato; it’s just a Greek roast potato.